As sports players we've generally all heard the term RICE - rest, ice, compression, eevation. 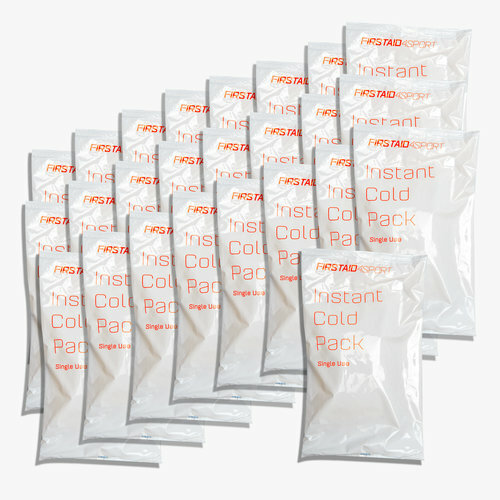 Stock up on ice packs to help with any injuries with this Firstaid4sport Instant Cold Pack set of 25. This instant ice bag is perfect when quick, immediate cold therapy is required. They are ideal to keep pitch side in your First Aid Kit. When dealing with an injury, Cold Therapy is vital to help the recovery process. Applying cold will help reduce the pain and inflammation to the injured area.